regulars, The Blind Master River King (BMRK), has a loose style of play that generates huge swings during his sessions. 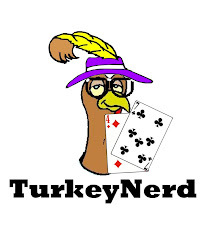 * Generally good natured about the hand's outcome, should he lose the pot, whoever drags the chips to their stack will be derided with such strong language as "you Turkey!" 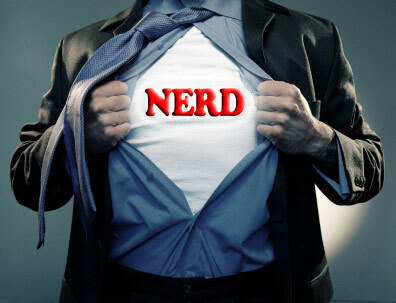 or "Nerd!" thrown in as a bit of a change up. In the BMRK's absence at one session, he was imitated by the losers of pots. EMG has the best voice imitation, but we all do our best. And as the words came out they were eventually put together. I was card dead that night, losing most of the pots I played, and being very easy to entertain, I spent most of that session either repeating the new compound word or laughing at it in my head. Who holds claim to saying it first ? I think it was me, but it belongs to this group of degenerates now. Either a Made Hand ... or a Draw. * Loose is not the right word, but it's the closest word in the Poker lexicon that I know of. Playing against the BMRK is very similar to playing a human slot machine. He's impossible to read, because he'll refuse to look and won't know his cards at least 1/2 the time. And if you're not betting the nuts, you're bound to have 2nd best. Update about this weekend's tourney. You know you want to.